A variation on one of our favorite mantras! 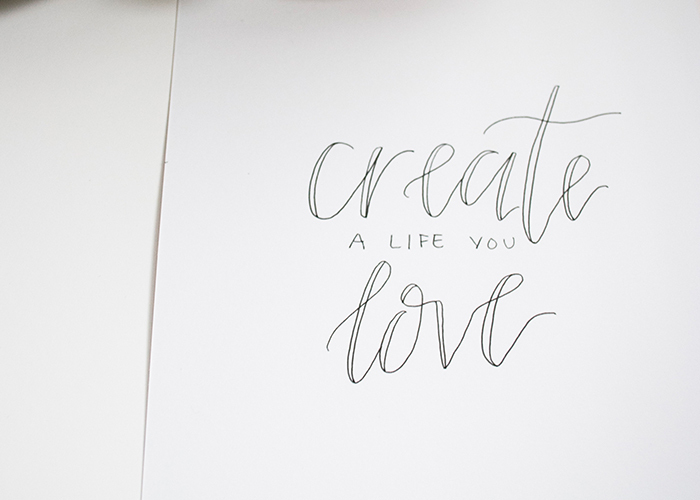 Create a life you love! Stop wasting time doing things that you aren't passionate about. Perfect print for the working creative mind who is working towards their dreams! This is a handcrafted piece of artwork meaning there may be some imperfections, smudges or pencil marks. This just proves that it is an original and no two pieces are alike. It is one of a kind, just like you! Interested in the frame too? Send us a message and we will give you the information on the pricing that includes the print in a hand made gold frame.